Albuquerque, NM- On August 22nd pro-life Americans mobilized like never before in over 340 cities across the nation in 49 states to #ProtestPP. There was a great turnout in Albuquerque, New Mexico, the media reported 500 our count was around 600! God is faithful to bring out His people for such a time as this!Thanks to everyone who showed up out on the street! A common inquiry among those who emailed us prior to the August 22nd #Protest PP event in Albuquerque was to ask what the protest would be like because for many, this would be their first. We explained that as Christians we conduct ourselves in a peaceful and law abiding manner at every protest, we are ambassadors for Christ above all else. Protest is what we have been calling for here in New Mexico with Fr. Imbarrato due to the pro-abortion political climate and statewide leadership that continues to ignore the killing of our pre-born neighbors. Protest is the proper response to this bloodshed and is what will make us a force to be reckoned with as we stop giving passes to those who profit from, condone and support pre-born child killing. Another testimony relayed to us is from a Pastor who attended the #ProtestPP event for his first protest. The Pastor had never experienced such treatment and stood silently in prayer asking for an opportunity to speak with this young man. The man then approached the Pastor and a conversation began about what the protest was actually about. The Pastor explained that, “literally across the street from your home is a killing center that not only murders pre-born children but also harvests and sells their organs and tissues for an extra profit.” The man was taken aback as if scales were removed from his eyes! He then proceeded to go and apologize to everyone he had yelled at and then he picked up a sign and then joined the protest alongside the Pastor! The Pastor walked away on Saturday with the realization that Christians must be active in the public square because if we’re not, then people simply won’t hear the truth and have an opportunity to end the killing of innocent children right across the street for their home! Here is a video that was captured by ABQ RAW from a previous protest (last Thursday) outside of Southwestern Women’s Options late term abortion facility. This is the norm at our protests, peaceful civility that has so much potential for saving lives and changing minds. We invite you to join us in protest each week here in ABQ. Today, as the 8th video from The Center for Medical Progress was released, we encourage everyone to consider what more you can do to stand for life in New Mexico and beyond. PRAY: If you are unable to join us out on the street, please keep our efforts to end abortion in New Mexico in your prayers. 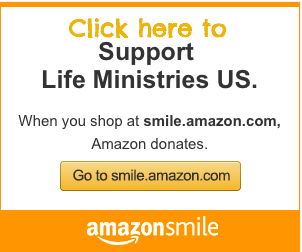 SUPPORT PRO-LIFE MISSIONARIES: You can also ensure that our efforts to end abortion in New Mexico continue by becoming a monthly financial partner, click here to make a secure online donation.